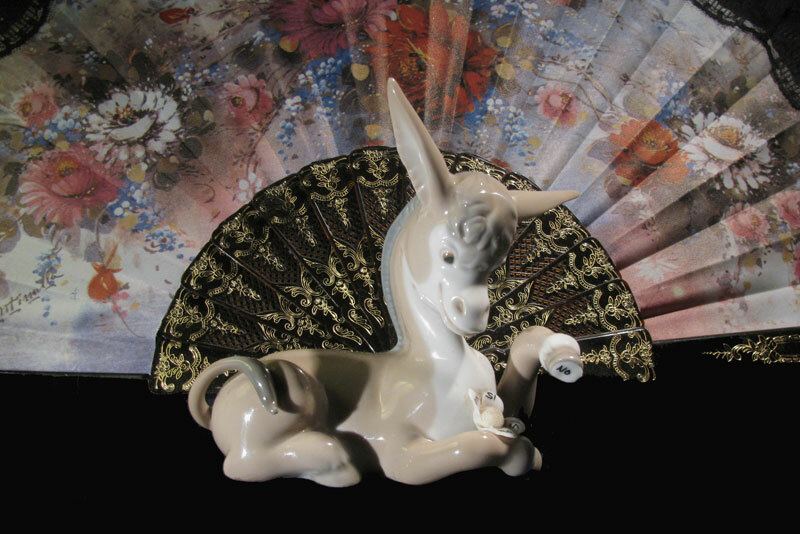 We are very happy to share with you an article sent to us from a wonderful Lladro collector in Melbourne Australia. It is a heartwarming account of discovery and exploration into the wonderful world we all know as Lladro Porcleain. Lladró was created in the mid 1950s in the small village of Almácera (near Valencia) but it was in the summer of 1973, while my family was spending a year in Madrid, that I first heard the word “Lladró” – and fell in love. In a small shop in Madrid, not far from where my mother was born, my parents took me to a special “tienda” where Lladró figurines adorned the shelves. My young heart was filled with joy and knew at a glance there would be a figurine just right for me. I would easily fulfill my quest: to please my Spanish aunties who had given me money for my birthday expecting me to spend it wisely. As soon as my father had helped me with the maths of what I could afford, my mother and I carefully picked our way through porcelain figurines. At the age of eleven, becoming a collector of Lladró porcelain made me feel very important. But I was overwhelmed with the choices, figurines so exquisite in translucent tones, with features so realistic, even a novice collector like me understood the language of the heart – the language of beauty and craftsmanship. I tried to narrow down my selection, my small hands gliding over the glossy surfaces of the fine statuettes: a milkmaid shooing away a long-necked goose dipping its beak into her full pail of milk. An elegant Spanish dancer in flowing dress. Cheeky kittens and playful pups, yapping and biting in an exuberant game. A tall and slender girl with a white veil cradled a petite rabbit in her arms – I wanted them all! centers, just like the ones she holds with her proud hoof.